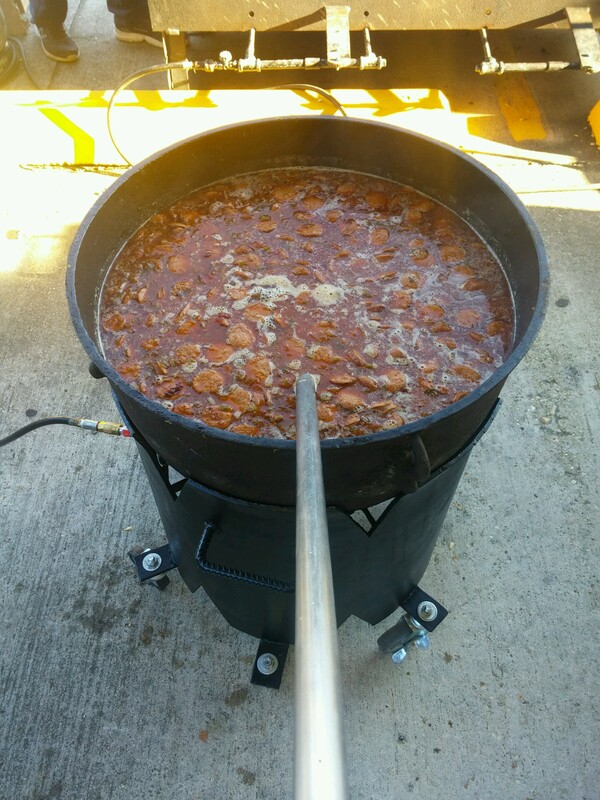 Large cast iron pots or kettles full of jambalaya and cooks armed with paddles are a common scene in Louisiana, especially when there is football to be played or money to be raised. 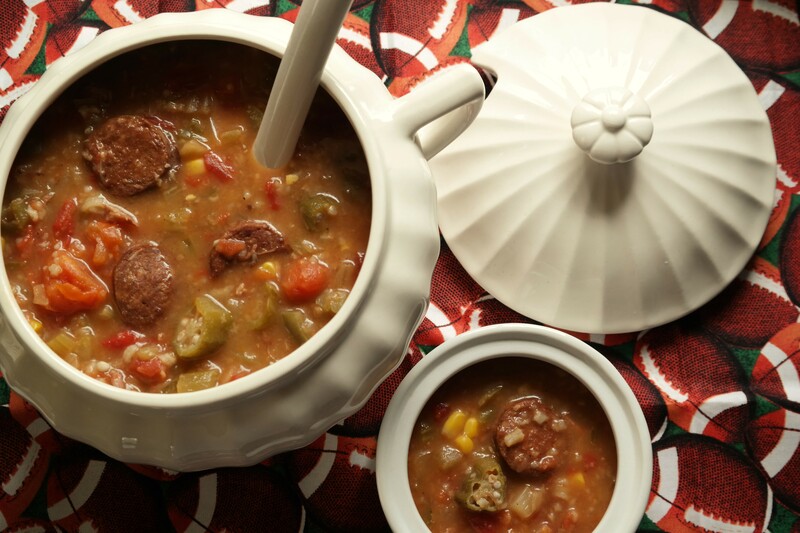 Tailgating can be a delightful sensory experience, in fact one can just follow their nose around finding the smoldering pots laden with sausage, seafood, vegetables, or the weekend’s trophy…anything goes. The definition of jambalaya on Wikipedia, is “meat and vegetables mixed with rice”, but it can be all meat, all seafood, all vegetables, are all of the above, and if you don’t have any rice, no problem, add pasta and call it Pastalaya! 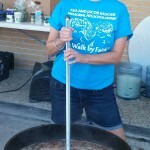 One of the perks of cooking mass quantities of jambalaya is the freedom of ingredients. The many combinations that can be used in a pot of jambalaya also make it an easy, cost-effective entrée to serve for successful benefits. 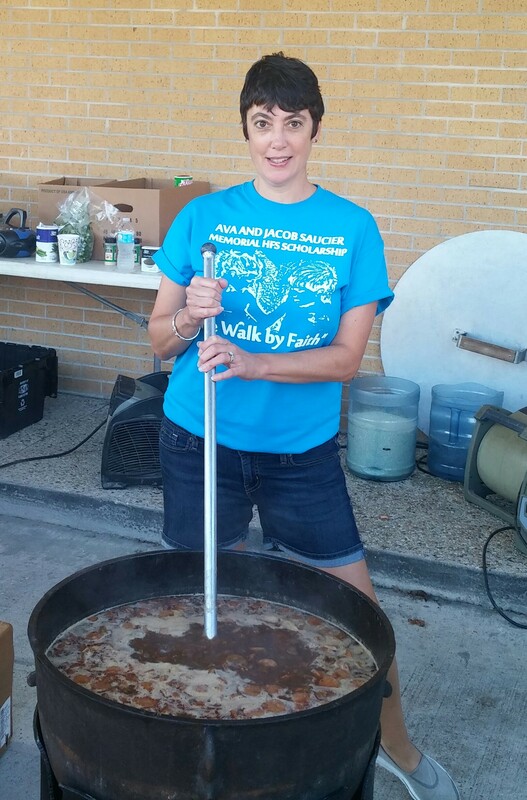 Each year, I am an honored volunteer of a dear friend’s family benefit. 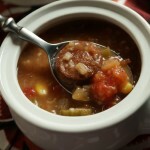 We serve jambalaya and white beans…and yes, I’m guilty of putting my white beans over the jambalaya. Never tried it? I highly recommend it, but of course, I am a white bean fan. 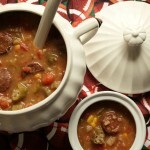 Leftover Jambalaya Soup: A hearty soup that utilizes fresh or frozen vegetables and seasoning making it an easy fix. In a stock pot, over medium high heat, add olive oil and sauté seasoning and garlic for 5 minutes. 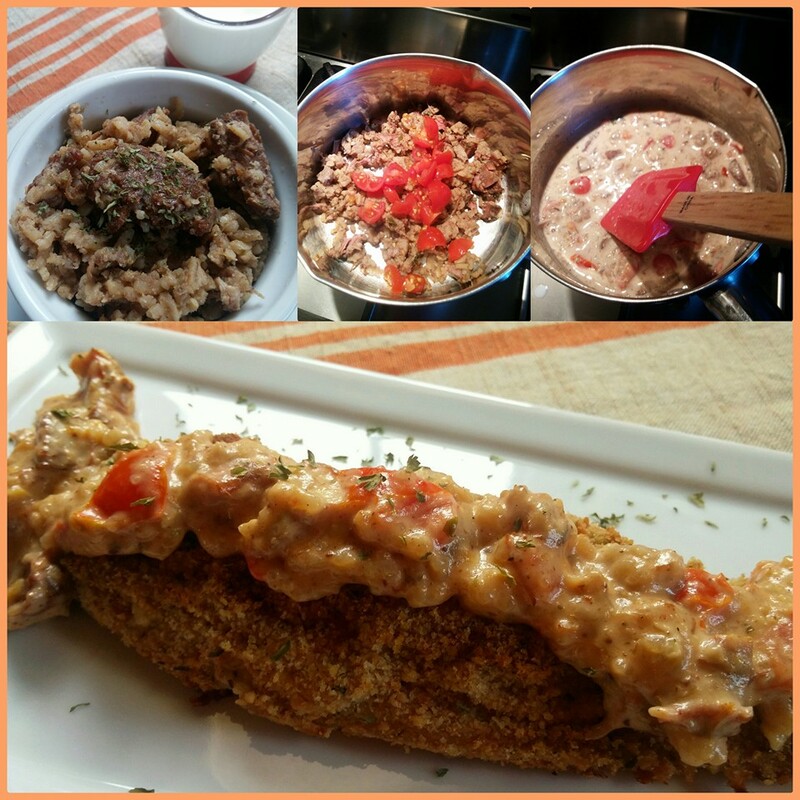 Stir in Rotel or tomatoes and jambalaya. Cook for 2 minutes. Slowly stir in the chicken stock to loosen any brown bits on bottom of pan. Add bay leaf. Raise heat and bring mixture just to a boil. Reduce heat to low. Cover and simmer for 15 minutes. Add in vegetables. Cover and cook an additional 15 minutes. Remove bay leaf before serving. Enjoy! Isn’t that a pretty soup urn? I won it in the silent auction at the benefit! 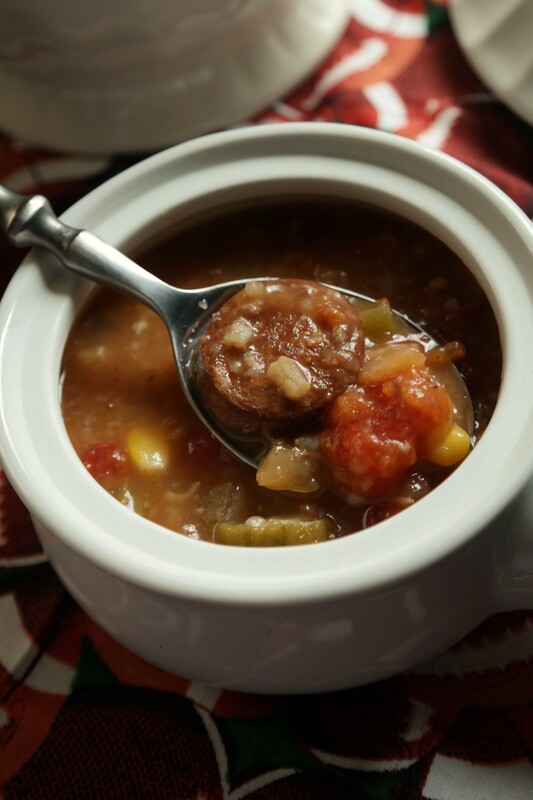 In a saucepan over medium low heat, add 1/2 cup cold jambalaya, (chop any large pieces of chicken, seafood, or sausage) 1/4 cup diced tomatoes or peppers. Heat until warm. Stir in 1/3 cup whipping cream, heavy cream, or half and half. Stir until smooth and slightly thickened. Remove from heat. Will thicken more upon standing. 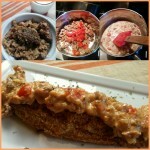 Tasty over fried catfish (my favorite), blackened fish, baked or fried chicken, omelettes, or biscuits! Seems to me that Jambalaya is the ultimate “leftover” dish — a bit of this, some of that, etc. 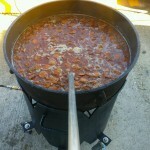 Thinning it down to soup is a great way to make a big batch feed and even bigger crowd! Good post! !